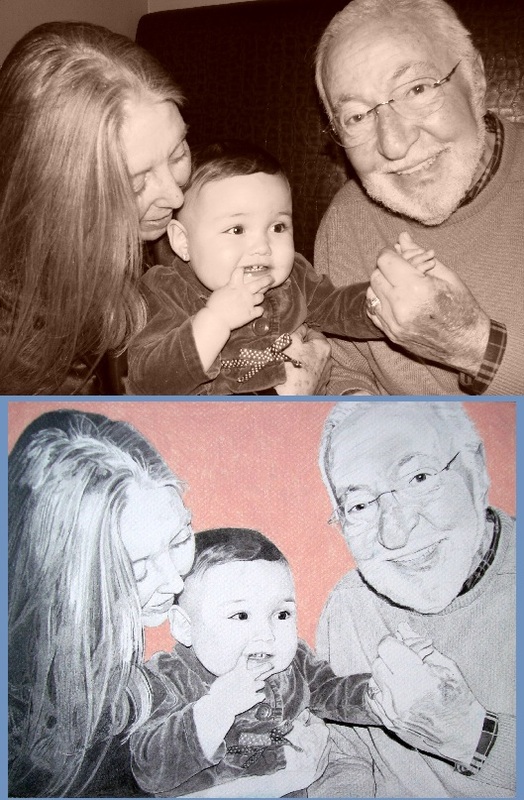 I recently turned this photo of baby Victoria with her visiting grandparents from Portugal into a portrait drawing that was given as a surprise gift to them. Mario, the grandfather, is also a talented artist. I’m glad they liked it and have some meaningful artwork to display in their home back in Portugal! To commission your own special portrait art, please see the Commission Custom Art page.